• Ronnie Fieg schedule since the beginning of this year has been anything but simplistic. Collaboration after another has shown a work ethic like no other in this footwear fashion world. Continuing his pursuit to Fashion Icon, he has decided to work along side Puma on their R698 “Sakura” collection. This “Sakura” colorway of the PUMA R698 is dressed in a White/Merlot color scheme that uses the Merlot-like color covering the entire toe ares that fades into White. Other details to the shoe are minor hints of a Light Pink that is shaded throughout the back end of the shoe. The collaboration is inspired by the cherry blossom flower that is seen on several trees of genus Prunus, particularly the Japanese Cherry, Prunus serrulata, which is called sakura after the Japanese. 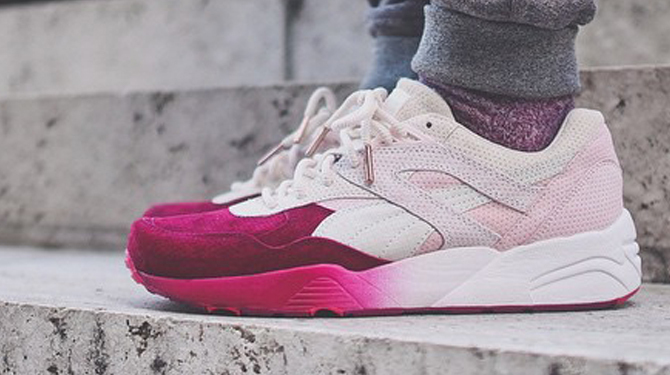 Stay Tune For official Ronnie Fieg x Puma R698 “Sakura” LookBook and Release Date.